Our team of medical specialists and nurses at the Human Care Air Ambulance Service in Turkey provide transport of the patients from one place to another through the air aviation means during the times of emergencies or medical assistance. Our aim is to facilitate better medical treatments available in the rest of the world apart from TURKEY and transporting our patients to the desired place of treatments within the minimum time. We ensure total safety of our patients and the staff and ensure that the patient is fulfilled with all their needs even during the duration of flight. We use helicopters as well as airplanes to transfer our patients. The goal of our company is to provide the best of the available medical care to our patients so that they are relieved from any discomforts and our staff promises to be there at the service of the patients whenever they need them. What do Human Care Air Ambulance provide to our patients? Providing our customers with all the possible medical emergency needs that also include ventilators and oxygen masks for the patients with serious conditions. We also have the facility of ICU for the people needing extra care and are critical. The highly qualified and experienced staff will always be there at your service when you need them for anything and everything. 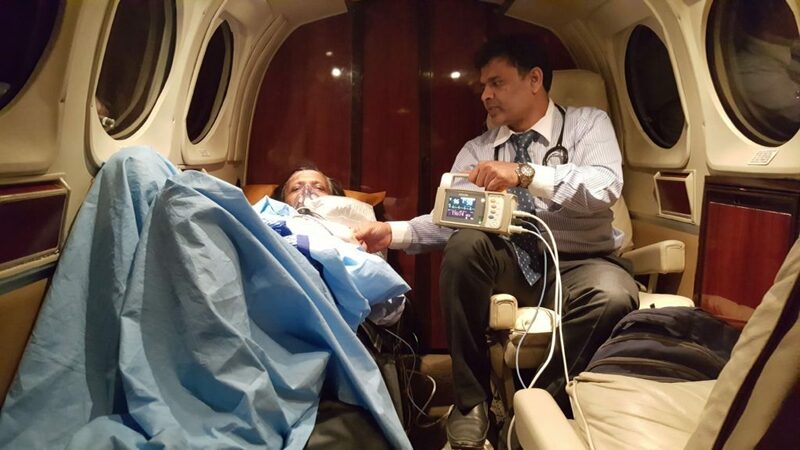 The aircrafts are loaded with all the types of required medications and specialized doctors in different fields to provide the patients with all the possible treatments. The primary goal of our team is to take care of the patients in need and to safely transport them to their required medical center. We also provide additional stretchers, escorts and wheelchairs to make the patient transport easier. All our services are economic and affordable by all so the patients do not have to worry about spending more bucks. All these features of our company have made us loved by the people of Turkey and other users too who have had an experience with us. We are available 24×7 to our patients and our services run all across the world. What makes us different from the other air ambulance services is that we have educated medical professionals that have undergone proper training sessions. Also, our company is equipped with all the possible medical assistance that would be beneficial to our patients. We promise to deliver an on time service and transport patients to different places within the possible shorter time. We always ensure that our patients are satisfied by our services and we promise to improve on our services on day to day basics. Our staff is very supportive and cooperative and takes care of the patients from the beginning till the end.